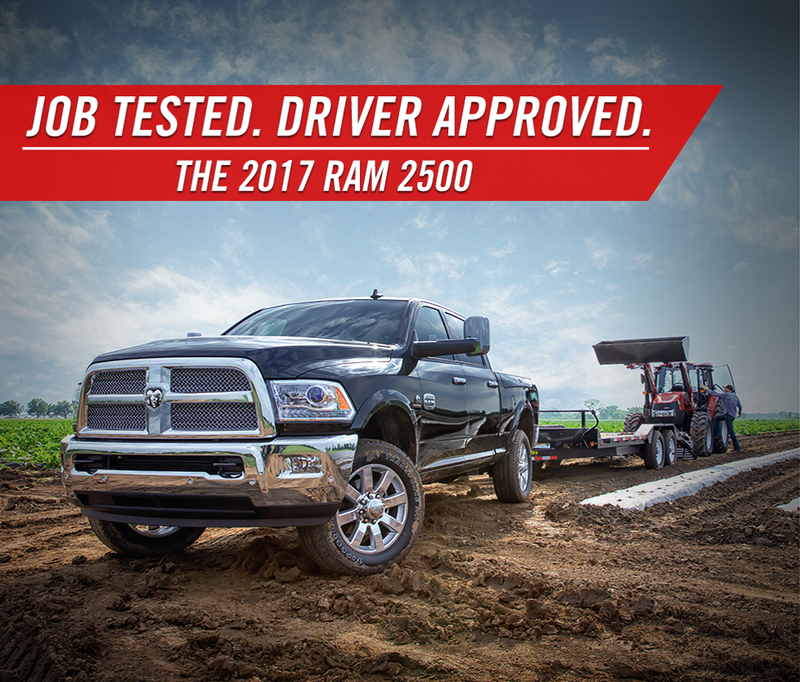 Whatever the job is, get it done right with the 2017 RAM 2500! This truck comes with the powerful accessories and entertainment features you need to make virtually any job easy and stress free. Test-drive the 2017 RAM 2500 today at Southern Dodge Chrysler Jeep RAM Norfolk Airport. We serve drivers in Chesapeake, Norfolk, Hampton and Newport News. Thanks to the power of the 6.4L HEMI V8 engine, the 2017 RAM 2500 can take on nearly any job. 410 horsepower and 429 lb-ft or torque delivers a one-two punch that lets you excel in multiple job areas. The 2017 RAM 2500 comes with plenty of available features to keep your connected and entertained. The Uconnect® 8.4-inch touchscreen is your control center for Bluetooth® audio streaming, navigation with 3-D terrain maps, hands-free phone calling and more! Safety is an important aspect of any job. The same philosophy has been applied to the 2017 RAM 2500. See all the exceptional features and powerful capabilities of the 2017 RAM 2500 for yourself. Get to Southern Dodge Chrysler Jeep RAM Norfolk Airport for a test drive today! We serve drivers in Virginia Beach, Chesapeake, Norfolk, Hampton, Newport News in Virginia and Cape Charles, Eastville, Exmore on the Eastern Shore. *Based on the 250/2500 Pickup Segment. When properly equipped. See dealer for details.